You will love unusual design of this jewellery set. 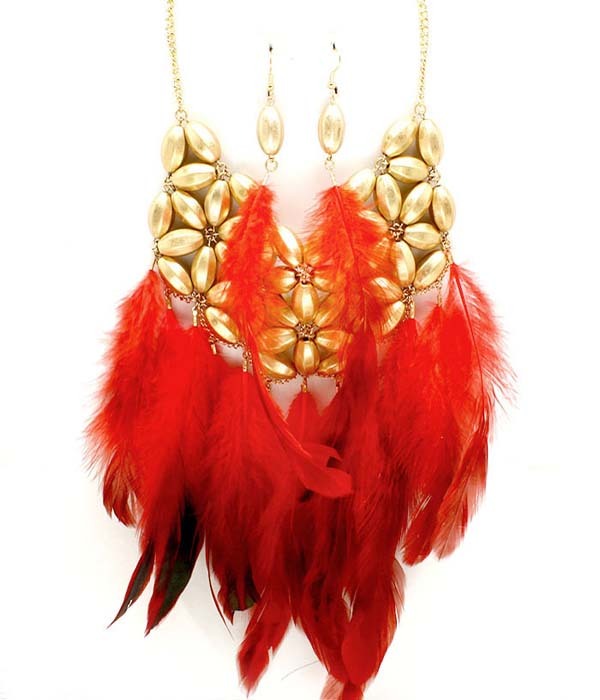 The necklace is made from gold tone beads in the shape of flowers and a row of pending bright red feathers. The earrings have a bead with a dangling long feather. Be seen wearing this fabulous fashion jewellery item, compliments are sure to follow!